Business needed a custom service portal to easily manage materials for educating clients about product updates. Business wanted to create a community for university clients to post questions and seek help from each other regarding best practices for reaching out to students and employers. I was tasked to research two CMS systems given high level requirements for the system to offer modules with social networking functionality. Drupal was the obvious choice with its large development community and multitude of modules that provided the requested functionality. Researched and installed the modules that met the requirements, built the mockups to come to consensus with team on visual design, customized the PHP template designs and the administrative interface to allow client services to easily add content such as training materials and FAQs. Department wanted a new homepage design to feature upcoming events, department news, articles and videos. 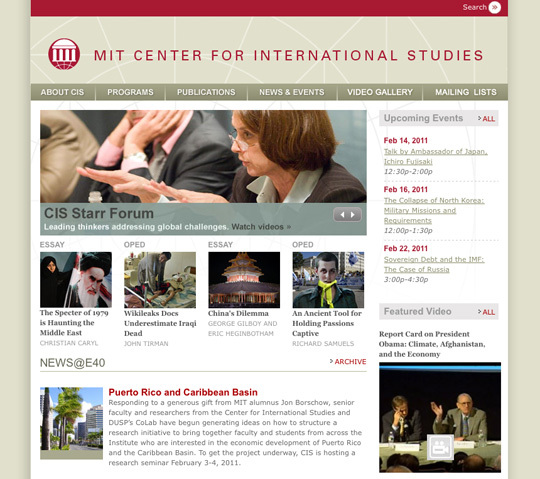 I created a new design that gave prominence to the various highlights at CIS. 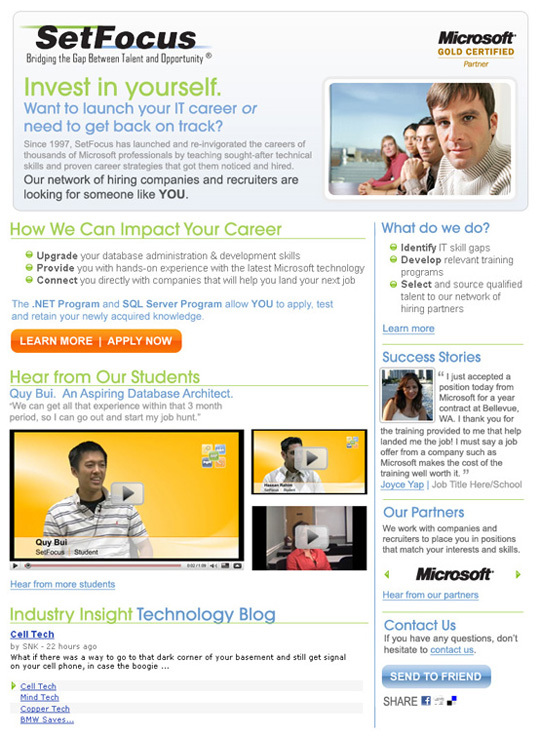 SetFocus needed to broaden its reach to entry level candidates and promoted two of their training programs on Experience.com. I created a branded site to present information about the programs through video content, testimonials and its dedication to the Green Revolution, reducing harmful emissions into the atmosphere by offering courses online. 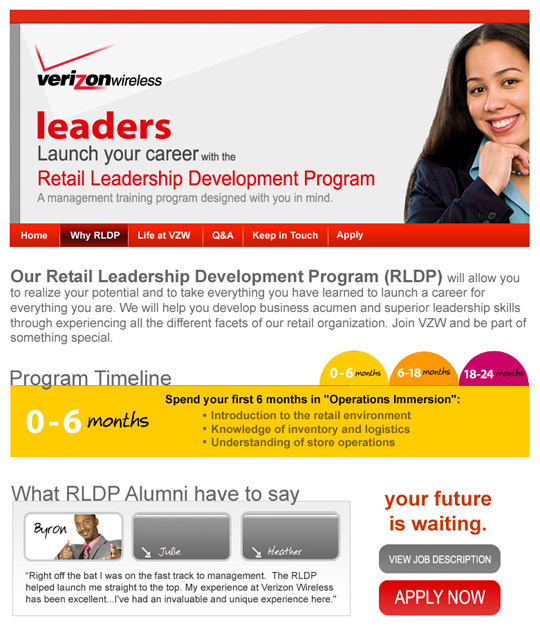 Verizon Wireless needed to broaden its reach to entry level candidates about the Retail Leadership Development Program on Experience.com. I worked on the conceptual and visual design of the branded site on Experience.com consisting of a variety of dynamic content and functionality. 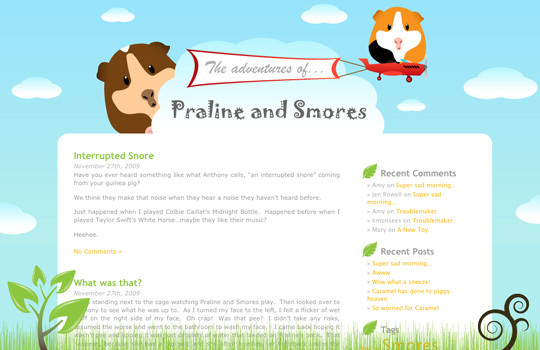 I needed a place to chronicle the priceless moments I have with Praline, Smores and Caramel through words, pictures and videos! What better mechanism than a blog?! I was so excited to get started right away, I designed the blog design in a day and setup the blog on Wordpress in another. Exerience.com needed a website to promote the Unlocking Potential Conference, a national conference in 2009 for its university clients to meet each other and work to reshape how to manage and deliver career services in new ways to not just deliver value—but stay relevant. Experience.com also needed an online registration process. I setup a registration form to allow career center administrators to sign up for the conference online, created the website and took the conference photos. Experience.com needed to share its insight regarding entry level candidates. I created a blog site to allow Experience employees to write weekly post regarding their anaylsis of the entry level candidate activity on Experience.com. I created the graphs that presented the data. 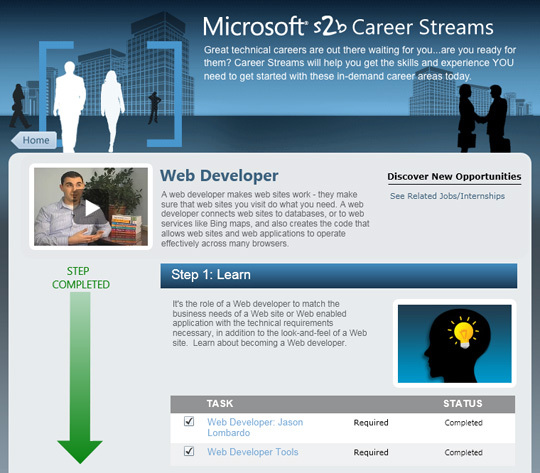 Microsoft needed a re-design of a product called CareerStreams, a site that showcases various career paths and offers video and training content for the respective career. 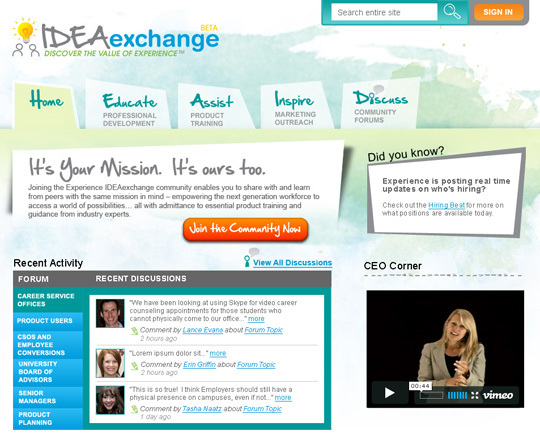 It was developed in partnership with Experience.com. I created and implemented a new design to differentiate the various sections in the product. 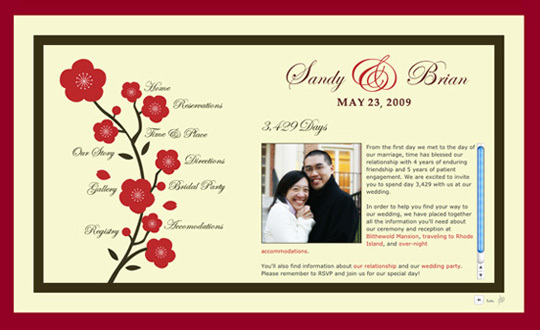 Sandy and Brian wanted a greener way to get guest RSVPs and to lower printing costs. I created a website for guests to keep up to date with the wedding details and worked with a developer to allow guests to RSVP online. We built an admin interface for Sandy and Brian to login, view and manage the guest information. 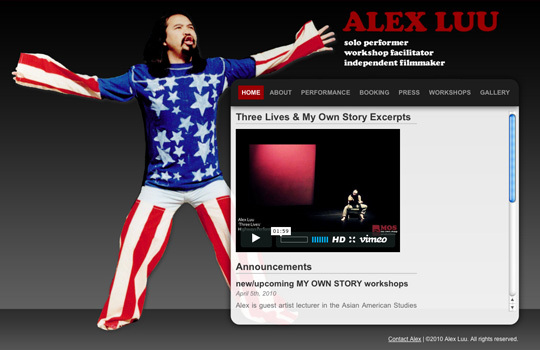 Alex Luu is a critically acclaimed solo performer, workshop facilitator, and independent filmmaker. Alex needed a new website design and wanted to be able to maintain his own content. I created a website for Alex using Wordpress so that he can easily manage his site content and add blog posts about his workshjops, performances, etc. 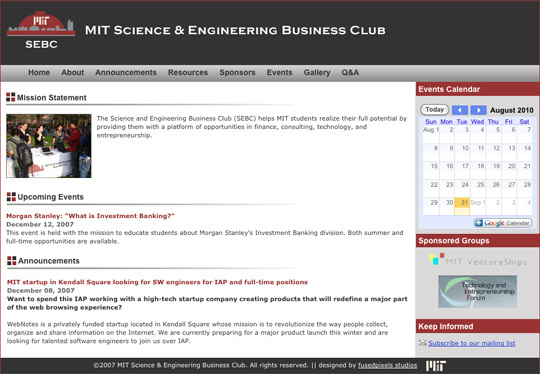 SEBC needed a new website design and wanted an interface to manage the announcements on the homepage. I created a new website design and worked with a devloper to create an admin interface for members of the club to add announcements regarding events and news on the home page. A intro classical mythology professor wanted to have a website for students to refer to resources online, treating the website as an online syllabus and textbook. 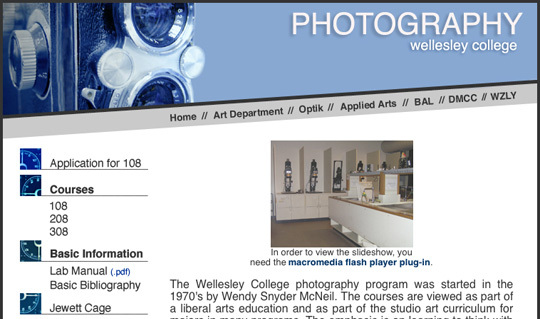 The director of photography, wanted a website for current and prospective Wellesley students to have an understanding of the photography course offerings and access to faculty and staff information, syllabi, etc. The Health politics professor wanted a course website for current students to access course info such as the schedule, assignments, etc. Spent a summer creating these websites through first meeting with each professor to determine the goals of the site, then developed the plan to structure the content, set a timeline for delivery dates, created the visual design to accomodate the web based content, implemented the design and met the end of summer site launch goal. Copyright © 2013 fusedpixels | Amy Wong Portfolio, All Rights Reserved.